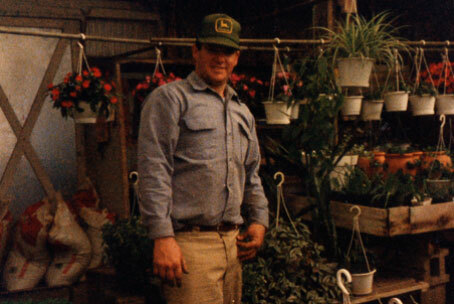 "I guarantee you the freshest produce, healthy flowers, and the most knowledgeable service when you shop at Good Harvest Farms." 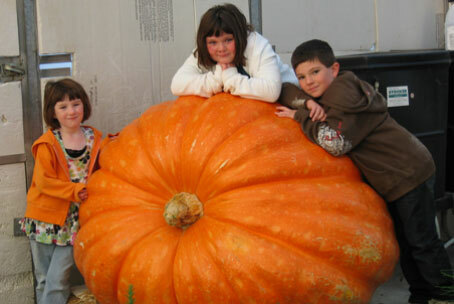 Lancaster County Farm, Greenhouse & Garden Center! 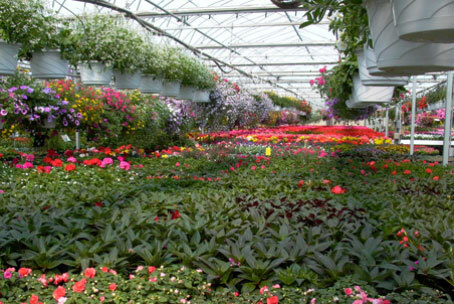 Good Harvest Farms is a fresh market grower of fruit, vegetables, hydroponic lettuce, herbs, and flowers. 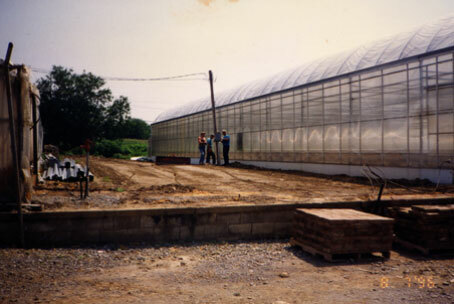 Our farm, greenhouses and garden center – Good Harvest Supply – are located in Strasburg, PA, in the heart of Lancaster County. 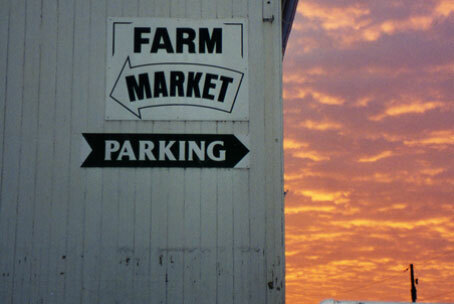 We also run a Farm Stand at the Lancaster County Farmer's Market in Wayne, PA. Stop by today for the most nutritious, mouth-watering produce available, as well as beautiful flowers, hanging baskets and a great selection of farm fresh goods for your home and garden. 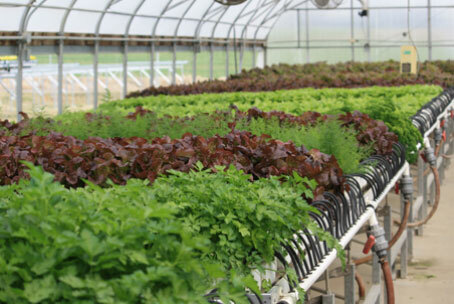 We're dedicated to sustainable farming. 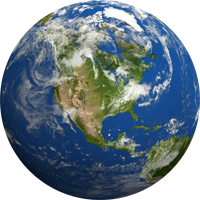 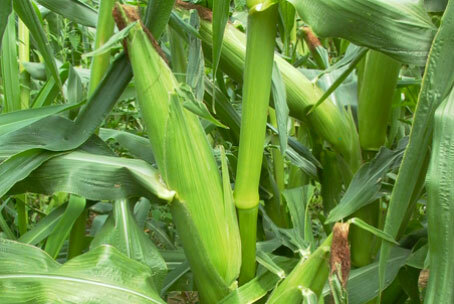 By adhering to agricultural and food production practices that do not harm the environment, that provide fair treatment to workers, and that support and sustain our local communities. 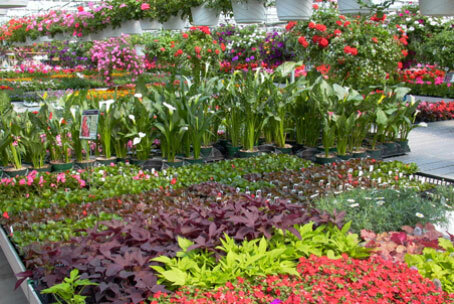 At Good Harvest Supply, we know you appreciate the quality and variety of our plants! 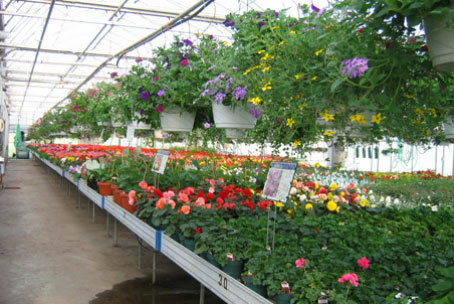 And we would like to thank you, our loyal customers, for your patronage by having a CUSTOMER APPRECIATION DAY on Saturday, May 4th, from 8:30 am until 5:30 pm! 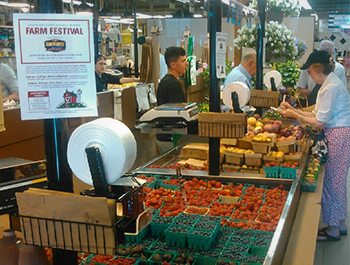 Special Discounts on select items throughout the day (below)! 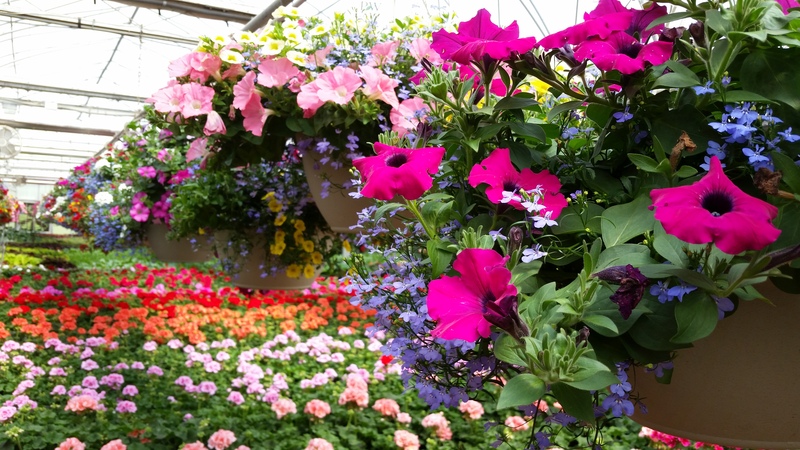 FROM 10AM TO 2PM: Buy 10 Geranium 4.5" pots, get 1 FREE, OR buy 10 New Guinea Impatiens 4.5" pots, get 1 FREE! 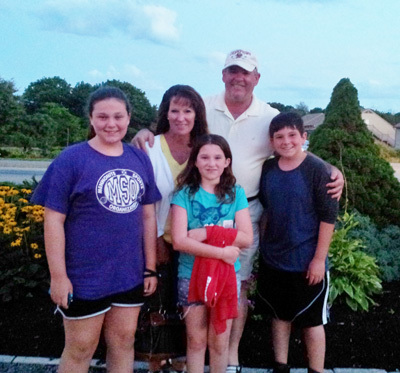 BE SURE TO JOIN US FOR THIS FUN FILLED DAY! 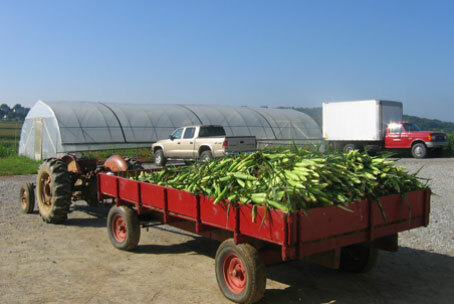 A load of fresh-picked sweet corn, ready for your 4th of July picnic. 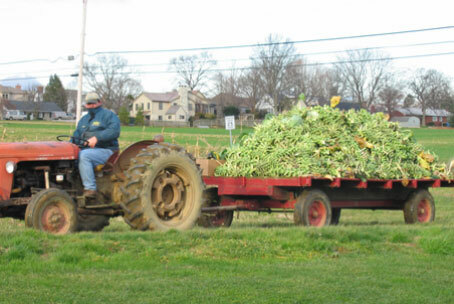 A fresh load of Brussels from our field to your Thanksgiving table. 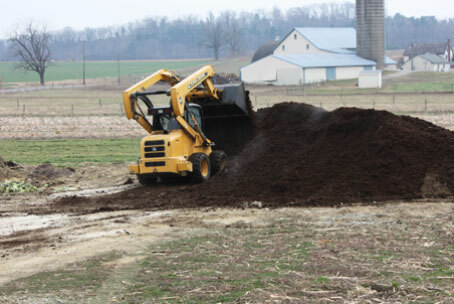 Turning over brown gold compost. 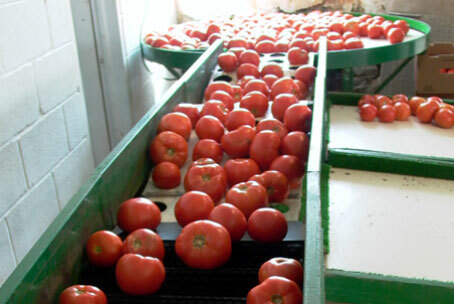 We work hard to reduce our fertilizer use on your veggies. 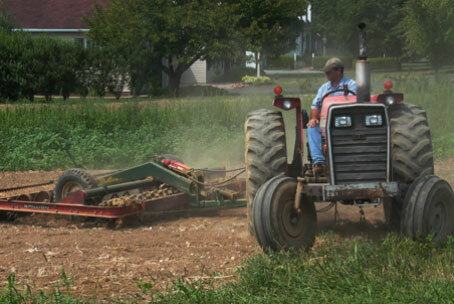 Preparing the ground for our next planting of green beans. 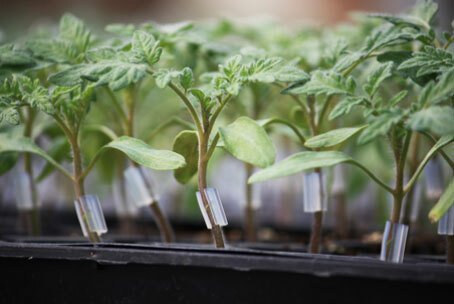 Grafting tomatoes for better disease resistance without using chemicals. 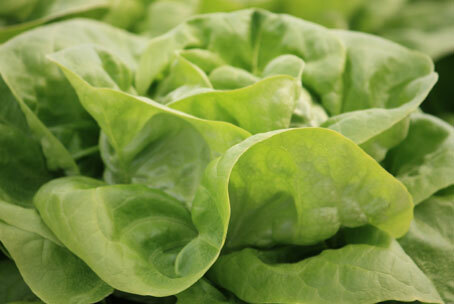 Hydroponic vegetables grown fresh year round for your favorite salads. 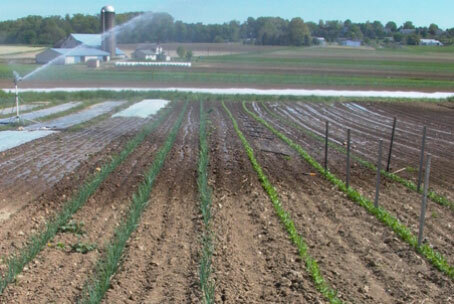 Giving a young crop of peas a drink of water. 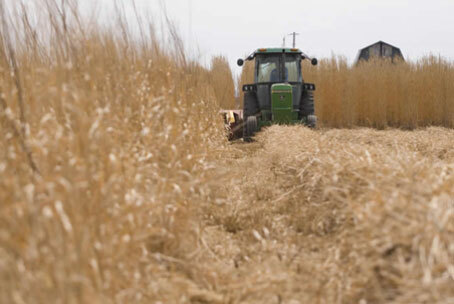 Miscanthus Grass being harvested. 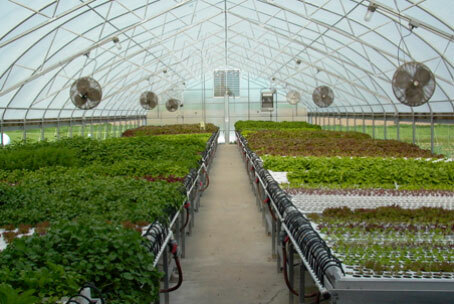 One acre produces the energy of 1500 gallons of oil and absorbs more carbon then it produces when burned as fuel. 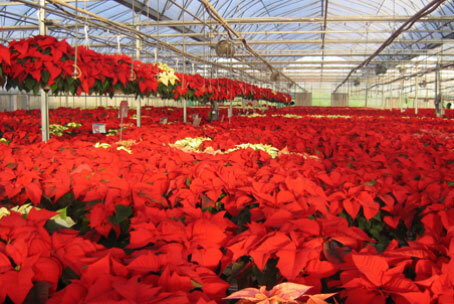 Another crop of poinsettias for your Christmas decorating. 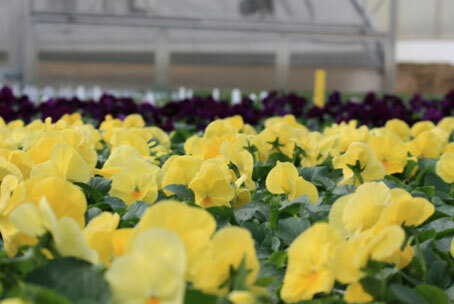 When we’re not in the fields we’re growing flowers for customers. 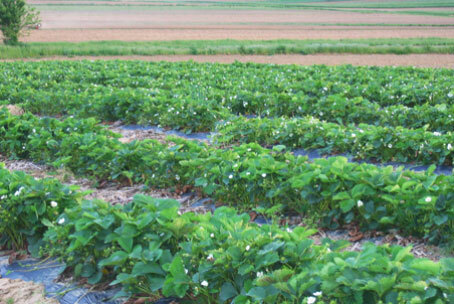 A sure sign of spring, fresh strawberries in bloom. 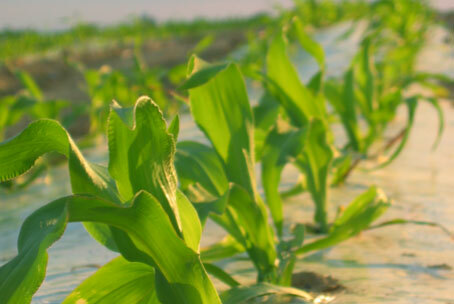 Sweet corn reaching for the sun in early spring. 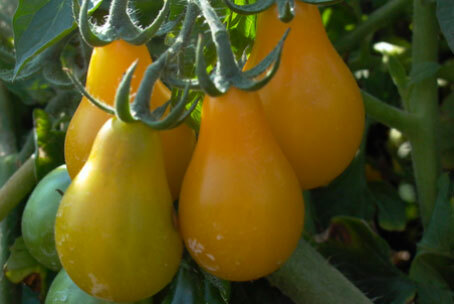 Plump and juicy yellow pear tomatoes. 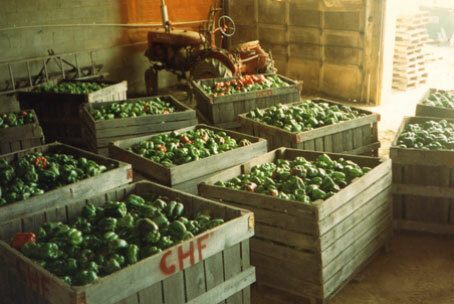 A load of peppers ready for the cannery.